Hello! We are Drs. 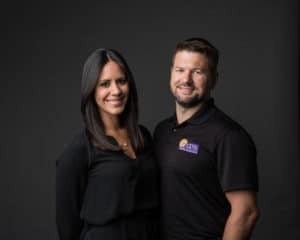 Michael & Noelia Carr, experienced chiropractors proud to be serving the East Dallas and Lakewood communities. After we graduated from the prestigious Parker University, we each worked within the area before taking ownership of 100% Chiropractic. We are very fortunate to call Dallas our home, and proud to have an up-beat friendly office that provides care to the entire family. Our practice is highly dedicated to caring for the “whole person” first and we strive to provide safe and effective chiropractic care with the latest evidence-based approaches. We pride ourselves in educating and empowering others to reach their maximum health and wellness potential along with experiencing higher levels of function in all aspects of their lives. We will constantly enlighten and challenge you to pursue your health goals so that you will achieve abundant health for you and your loved ones. Dr. Michael works with patients from all walks of life, from children just entering elementary school, teens, professional athletes getting ready for the upcoming season, adults, weekend warriors, and geriatric patients who are interested in staying healthy into their golden years. He is certified in Functional Movement Screening and strives to deliver life-changing wellness care to increase nerve flow to the body and optimize immune system function. Dr. Noelia has pursued extensive training in holistic health-care with a special emphasis in pediatric and family care. She is currently obtaining her pediatric certification through the International Chiropractic Pediatric Association (ICPA). 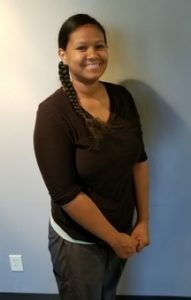 She is also Webster Technique certified, which focuses on correcting discomforts that are commonly experienced during maternity, to ensure a healthy pregnancy and safe delivery of the newest member of the family. Drs. Michael and Noelia have a vision…a vision of health revolution in this country. We want to create consciousness on what true health really is, one individual at a time. Our main goal is to get our patients out of living mediocre, medicated lives by strongly educating them about new ways of nutrition and proactive health solutions. Experience chiropractic care from one of our Dallas chiropractors today and take your first step to a better life! The White Rock 100% Chiropractic location is conveniently located on Gaston and Garland just south of White Rock Lake and is a wellness center dedicated to discovering the source of your pain and enhancing your overall well-being. Our chiropractors in Dallas have the experience and innovation you need to maximize, not only your health, but also your life. Those in Dallas have access to a chiropractor who can respond to each of these symptoms, as well as offering health maintenance and optimal wellness for your entire family. At our White Rock chiropractic location, our innovative techniques and holistic methods promote a full life of potential and empowerment. While an accident or injury could lead you to your first chiropractic experience, you and your family will find so much more when you take charge of your health. We live up to our name by providing 100% satisfaction and 100% healing by applying our unique expertise and experience to designing treatments. Family corrective care: With consistent x-ray monitoring to track the progress of spinal correction, our focus is on determining the proper combination of therapies to restore the natural curvature of your spine, whether you are in elementary school or retirement. Pediatric chiropractic care: People at any age can benefit from chiropractic therapy. In fact, even newborn babies and infants can suffer symptoms like back and neck pain, but our chiropractors have the experience and training to help even the smallest patients. Chiropractic care for pregnancy: It is no doubt that pregnant mothers can benefit from chiropractic wellness therapies, and our Dallas team of chiropractors specializes in correcting discomforts that arise during maternity. Our team has chiropractor experience that ranges across a variety of issues – from accident and injury to prenatal chiropractic services. We treat a wide spectrum of Dallas patients– from infants and kids to adults and the elderly. At the edge of White Rock Lake our chiropractic center welcomes neighbors from Lakewood, Greenville, and other Dallas neighborhoods to experience chiropractic care. In fact, we look at our office as a wellness center because our focus is not only on treating the pain a patient is experiencing, but also ensuring patients experience long-term relief. Our mission is to expand beyond addressing just symptoms. We target the source of your pain and teach you how to apply health and nutrition techniques to channel your energy into reaching life at 100%. We want to thank you for taking the time to check out our site and learn more about us. The opportunity to help others is what drives us every day to become better in our craft. We pride ourselves in delivering phenomenal care, so we welcome you to visit our beautiful White Rock chiropractic office and meet our fantastic team members. Along with our chiropractors at our Dallas office, we also service the greater areas of Texas with additional chiropractic teams in Addison, Highland Village, and Austin. We are a fully bilingual office! Dr. Stefany was born and raised in the beautiful island of Puerto Rico. She received her bachelor’s degree in general sciences from the University of Puerto Rico. After graduating she moved to Marietta, GA to start her Chiropractic program in Life University. 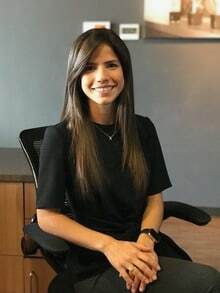 In 2016 she graduated from Chiropractic School and went back to Puerto Rico where she worked for two years as an associate in a Chiropractic Clinic in San Juan. In 2018 she decided to move to Dallas, TX where she joined the amazing team at 100% Chiropractic. Dr Stefany is very passionate about working with kids, but also about serving families and individuals of all ages y providing them with the benefits of chiropractic care. She specializes in many adjusting techniques, including the Webster Technique for pregnant patients. Dr. Stefany is extremely grateful to be part of the 100% Chiropractic team, and she is excited to keep helping people achieve their health goals through the amazing benefits of chiropractic care. 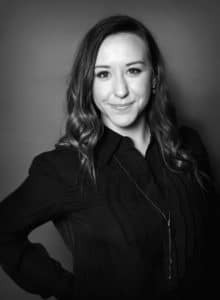 My name is Alyssa, and I’m the office manager here at 100% Chiropractic Dallas. I grew up in Saint Louis, Missouri, and received my Bachelor’s Degree in Business Administration from the University of Missouri – Saint Louis. After graduation, my family and I moved to Dallas, Texas, and soon after I became part of this amazing 100% family. Chiropractic has completely changed my life, helping my body to function at its highest and healthiest levels, allowing me to live my happiest and healthiest life. I look forward to working with you and your family on your journey to better health. Welcome to the family! My name is Rachel and I am one of the massage therapists at our office. I grew up in the Dallas area and attended massage school at Sterling Health Center. I began as a patient at our office and was so amazed at how great I felt I knew I wanted to be a part of the team! Since beginning care my headaches, acid reflux, and shoulder pain have disappeared. My focus is helping you feel your best and meet your treatment goals! My name is Abra Whitney, easily remembered as “Abra Cadabra”. I was born and raised in beautiful Dallas, Texas. When I’m not indulging in one of my many hobbies of beadwork, baking goods, or triathlon training, you will find me striving to assist patients in achieving their health goals here at 100% Chiropractic Dallas! I’ve been a licensed massage therapist since 2012 graduating from Steiner’s Texas Center for Massage Therapy with an array of modalities in my arsenal. I absolutely love being a massage therapist! It’s a pleasure being able to assist patients with pain relief, tension, and reduce of stress. Here at 100% Chiropractic I get to do just that and more! I did not know what to expect when I initially signed up for treatment. After the first week, I was already sleeping better and feeling less pain between my shoulders- which was my reason for coming. I’ve truly enjoyed my adjustments, massages, and becoming friends with the entire staff. My life has changed for the better here, not solely from the care I’ve received physically but emotionally. I really am thankful for this office committing to helping me “get better”, and because of that I’ve seen drastic improvements in my mind, body, and soul. I know more about how important subluxations are using my posture pump and paying attention to my body’s overall health is because of the education I’ve received from the staff- and a mere “thank you” is not enough! I came in with back pain and morning stiffness that was negatively impacting my way of life. After trying a new mattress, pain killers, and stretches my problem was not getting better, but worse. I tried the chiropractor and it has definitely made a change in my wellbeing. I still have some more treatment to go, and I’m very excited and looking forward to a 100% recovery. 100% Chiropractic has made a drastic change in my life in a very short amount of time. I had chronic pain in my left hip. The changes they’ve made have made it much easier to move through the day. I look forward to continued improvement. Thank you! Before coming to 100% Chiropractic, I would wake up some days and not even be able to touch my knees. Now, I can touch my toes. Coming to 100% is like visiting friends. Everyone knows your name and ask about your day, I have been to a few chiropractors and this is by far the best not only in treatment but the genuine care that they give to everyone who walks in. Over the years, I had come to accept back pain as a way of life. I had seen a competitor Chiropractor for some time and found some relief to the pain but no real solutions or hope of healing my spine. I thought I just had to live with constant tightness, and frequent pain. I had not even considered the posture issues related to my spine. After a complete evaluation, Dr. Carr showed me exactly what was wrong with my spine, even more frightening, he showed me the expected future of my spine with no treatment. Then he offered help. Now as I navigate through normal daily life, I no longer wake up with a stiff sore back, my shoulders aren’t constantly tense and tight, I’m conscience of my posture and can see improvements. I feel better overall and I’m excited about achieving better health and fitness overall. All the staff at 100% are friendly, professional and fun. When I go in for an adjustment, it feels more like I’m there visiting with friends than at a doctor’s appointment. I’m so glad I found 100% Chiropractic and don’t know how I got along without them for so long. I’ve been a patient of Dr. Carr for seven months and have had some truly amazing results! Prior to seeing Dr. Carr, I was having frequent debilitating migraines and was hypersensitive to smells. I was so sensitive to smells, that I would just get near the fragrance department in a store and would get a migraine and nausea. My symptoms were so severe that I had to take narcotics, seclude myself in a dark room, and sleep for four or more hours. But since becoming a patient at 100% Chiropractic, I have not had a migraine and my sensitivity to smells has diminished significantly. No medication has ever given me the results that I have had with Dr. Carr. I used to be a skeptic of chiropractic care, but Dr. Carr changed that. Now I am a 100% believer and would recommend chiropractic care to anyone. New Year, new me was my attitude! The first two weeks seeing Dr. Noe at 100% Chiropractic was not easy, unfortunately. I was seeing her three times a week at this point. The adjustments were triggering migraines and my medications prescribed by my neurologist were changing again. I’ll be honest, I was a complete mess and I was so embarrassed. I had no control of my body. Dr. Noe and my boyfriend have been my saving grace. They both would reassure me that this process will take time. With a little research, the help and support from Danny, Dr. Noe, Dr. Carr, and my family; magic started to happen. I stopped seeing my neurologist, I started tapering off my medications to start taking more natural supplements, and trusting the process. I started to see drastic improvements. It is now almost May 2017 and I have been migraine free for nine weeks! I feel so much better, in so many ways. Thanks to 100% Chiropractic, I have my life back! Please visit this local business!